American Cinematheque will present “The Castle Returns: Miyazaki, Takahata and the Masters of Studio Ghibli 2013” at the Egyptian and Aero theatres from Jan. 25 to Feb. 10. 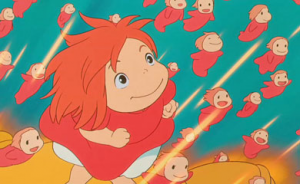 Last year’s retrospective of animated films from Japan’s Studio Ghibli proved so wildly popular that highlights are being brought back for a return engagement. Founded in Tokyo in 1985 by animation directors Hayao Miyazaki and Isao Takahata, Studio Ghibli is one of the most successful and respected animation studios in the world. Cultivating a creative force of talented directors, animators and storytellers under the revered brilliance of Miyazaki and Takahata, Studio Ghibli makes films that are praised for their originality, dazzling animation and epic storytelling. The films have become a beloved part of Japanese popular culture, and have garnered worldwide acclaim from audiences and critics alike. 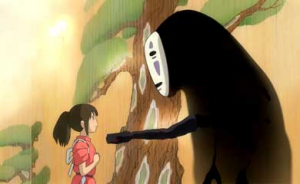 Miyazaki’s “Spirited Away” won the Academy Award for best animated feature in 2002, and in 2005 Miyazaki was named one of “the most influential people” by Time magazine. If you missed out on one of the sold-out shows in 2012, here’s another opportunity to see Miyazaki’s beloved favorites “My Neighbor Totoro,” “Princess Mononoke,” “Nausicaä of the Valley of the Wind,” “Howl’s Moving Castle,” “Kiki’s Delivery Service,” “Castle in the Sky” and “Porco Rosso,” as well as the animator’s most recent feature, 2008’s “Ponyo” (which was not shown in last year’s Ghibli series). 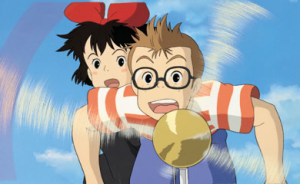 The seldom-seen Takahata film “Pom Poko” and Miyazaki protégé Yoshifumi Kondo’s sole feature, “Whisper of the Heart,” will also be screened. The Egyptian Theatre is located at 6712 Hollywood Blvd. in Los Angeles and the Aero Theatre at 1328 Montana Ave. in Santa Monica. For ticket information, trailers and a synopsis of each film, click here. Films are in Japanese with English subtitles, except where noted. The schedule is as follows.